Promotional ceramics merchandise will enable us to shine amongst others! Looking for ideas to impress your clients? Check out some of these custom ceramics you can consider using to boost sales! Ceramics can be customized into any shapes or design according to your preferences. Colours can also be varied to boost attractiveness. Read on to find out more about such custom ceramics! Why not consider a custom ceramic gift set? 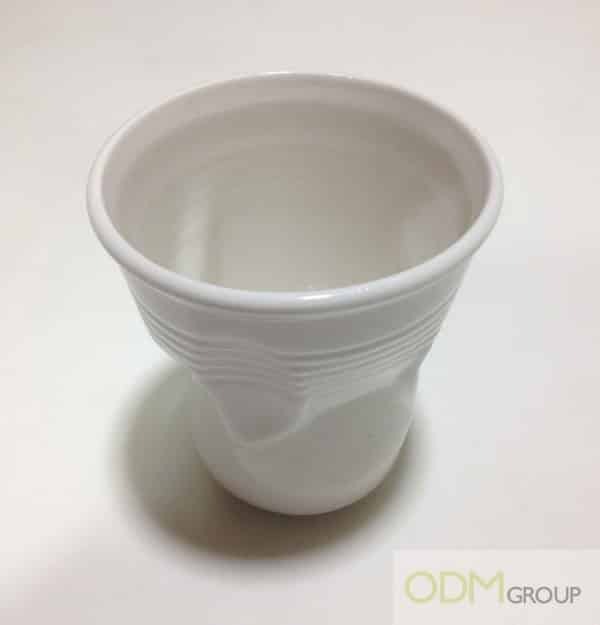 You may also use it in your café or restaurant to arouse your consumers’ curiosity about such unique shaped cups and container. 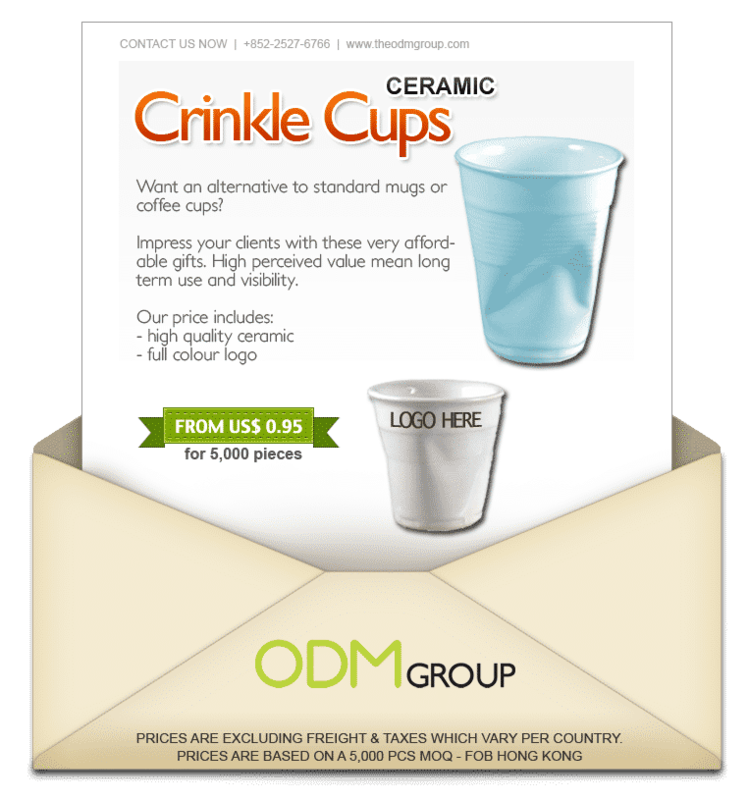 Ceramic Crinkle Cup as part of your promotional ceramics. 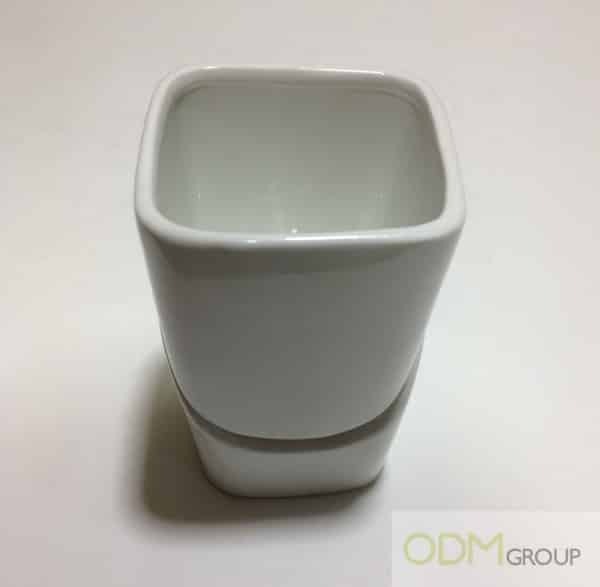 This fun-shaped and unique ceramic cup would definitely impress your clients! It seems like someone has crumpled your cup into this shape like what a paper cup would look like. Except that this is a ceramic cup! Isn’t this very interesting? The shape of this cup is also suited for users to hold it. The crinkles fit nicely according to your fingers. You wouldn’t have to worry that the cup may slip out of your hands or it is difficult to handle. That’s a great idea for dairy companies. 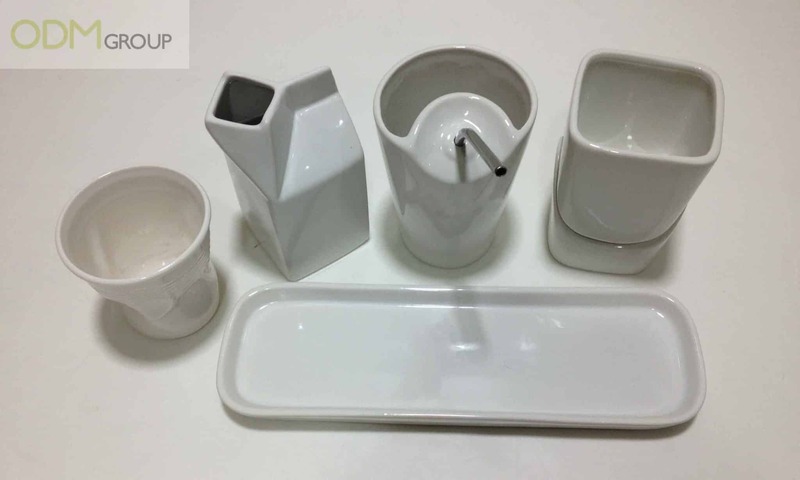 Ceramic Milk Container as part of your Promotional Ceramics. Milk is an essential in all cafes. 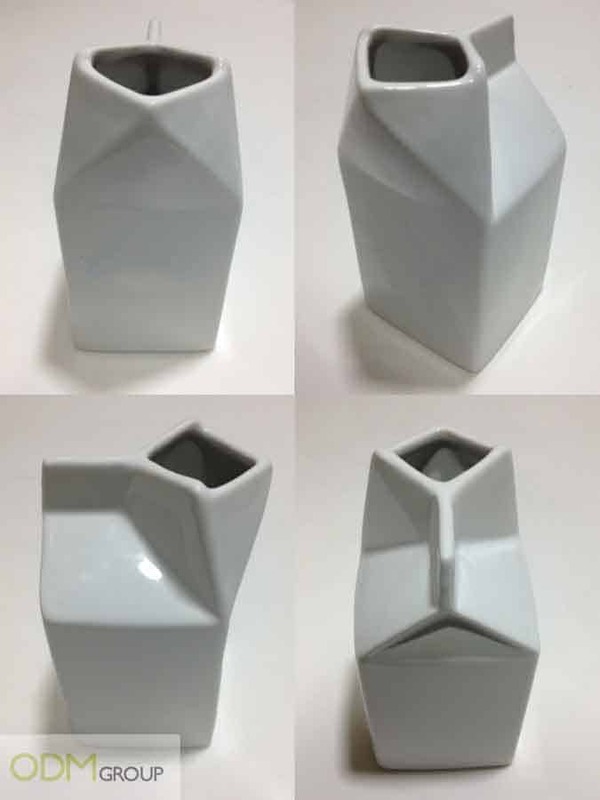 Making the milk container into the shape of a milk jug would allow them to stand out. This makes it more interesting when consumers pour milk into their coffee or tea. Little decorations like this lift the consumers’ mood and makes it more enjoyable in your café. This unique design would definitely arouse much interest. Who uses a metal straw for drinks? Well, the Alice Cup allows you to do so! 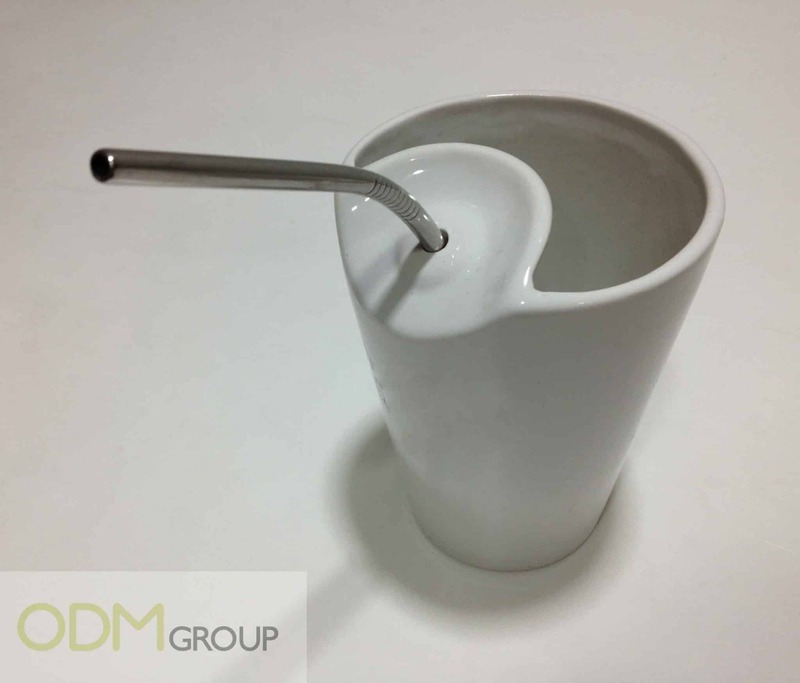 Drinking from a ceramic cup with a metal straw is unusual, offering a tinge of excitement. The straw is fitted into a small opening at the side of the cup. This allows your straw to sit in place and not roll around the cup. With this cup, people would be more enticed to purchase drinks from you so they can experience drinking from such cups! Offering this as a gift is also special, showing your creativeness. Ceramic Fondue Tower as part of your promotional ceramics. Most people love chocolates, especially chocolate fondue. A container must be available to hold the chocolate fondue and a special kind of fondue tower can be used. When people use such interesting fondue tower, it allows them to enjoy their dessert better. This increases their mood and satisfaction. That would be great for Cadbury or Milka for example. The fondue tower can be used for any kinds of fondue, even cheese fondue. Check out what the fondue tower looks like when it’s opened. Candle can be placed from the bottom of the tower to keep your fondue warm and melted. Ceramic Tray as part of your promotional ceramics. This ceramic tray can be used for any purpose. It can be used to hold the fondue tower and some fruits/snacks at the side. This increases convenience for people to dip these snacks into the fondue and savour it. It can also be used as a tray to hold all the seasonings. Pepper container, salt container, chili container, toothpick holder, etc. can all be placed together on this tray. This helps organize the table and not have so many containers lying around. Branding your marketing gifts is vital in increasing brand awareness. These custom ceramics have a very large surface area for you to brand your logo. When people use these ceramics cups/containers, other people would be able to notice the brand name imprinted on it. This would help boost brand recall and loyalty in the long run. Imprinting your logo allows these ceramics to act as free walking advertisement for you! Don’t just think of the kitchen when you think of custom ceramics production. We make a whole range of promo gifts like ceramic keyrings also. Hurry get started with your very own branded promotional ceramics gift set now!